I grew up on the Andy Griffith Show, so I felt inclined to procure at least one of the man’s albums for the collection, especially when said album was only $1 at a thrift shop. 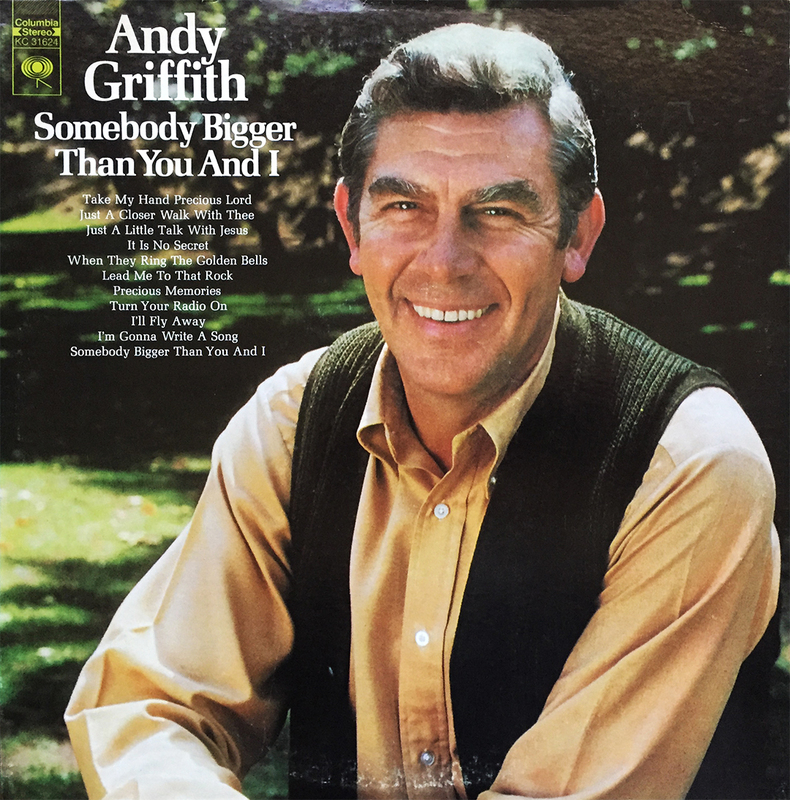 Released via means of Columbia Records back in 1972, Somebody Bigger Than You and I sees Mr. Griffith praising his deity with the twang of folk and country. The 7th studio album from this Hollywood great, Somebody Bigger… would be the first record since 1964’s Andy and Cleopatra on the Capitol label. At a specific time, in a specific place, this album fits the bill.